Cory Booker, the mayor of Newark, New Jersey, is a rockstar in the Democratic party, and political pundits are practically united in their speculation that Booker is likely to take a run at the White House in 2016. Booker is also a rockstar in the Twitterverse where he has over 1,000,000 followers, which is over twice as many as Republican presidential candidate Mitt Romney. And Booker is unusually active with his Twitter account, which is apparently run by himself and not by staffers, and he seems to revel in posting detailed information about himself, some of which can be a little weird. 1. Cory Booker doesn’t drink. Sorry, as a non-drinker I'll let others answer. RT @wfpman: @CanYouRecommend @ericwormann dude, you answered that one like a politician! I don't drink but looking forward to a city that knows the coffee #ThatLuciousLiquid! RT @GrahamCC: May I recommend the Bookstore Bar? 2. Cory Booker Tebow-ed a baby. 3. Cory Booker likes Seinfeld. 4. Cory Booker meditates. Sort of. Meditation is powerful. I admit, I've fallen off recently. Need 2 get back RT @beefeet2 I noticed ur spirit during interview. Do u meditate? 5. Cory Booker seems to have a thing for Ben & Jerry’s ice cream. Yes! Please grab Ben and Jerry for me, I need to talk to them. RT @TurboGrandma Cool, I'll drop by later. Need anything from the store? Oatmeal Cookie Crunch (Bring back Festivus flavor!) RT @OnMyOWNworld what is u favorite ben & Jerry flavor? Mine is "imagine whirled peace"! 6. Cory Booker has been a vegetarian for 20 years. Ummm, I'm a vegetarian, would u settle for tofu? MT @buckwilde What's on the grill tomorrow? T-bones and ribs. This Fall will be 20 years for me too RT @bocobb How long have you been a vegetarian...I have been one for almost 20 years! 7. Cory Booker has confusing opinions about penguins. 8. Cory Booker is a jokester. Yes we do, this world can be a hairy place. RT @StreetAmerican: Bald progressives need to stick together. 9. 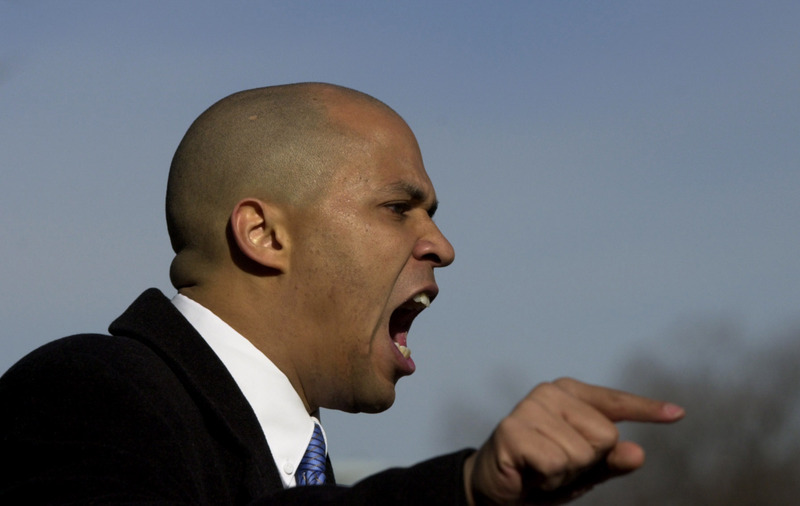 Cory Booker breaks up school kid fights. 10. Cory Booker has never smoked pot. No. Unless you are talking about the mac and cheese I burned last night. That "pot" was smoking. RT @RhinoHut: Have you ever smoked pot?